For your health & the love of Coconut oil. I get asked a lot, What Brands of coconut oil do I use, & where to buy them? Make sure to scroll down & see my before & after picture for health & weight loss from taking raw coconut oil & oil pulling. The above links are affiliate referral links for me to get credit for purchases, I earn a small percentage from Skinny Coconut oil for referring you if you purchase & I receive a discount coupons from Tropical Traditions for referring you if you are a first time purchaser.Thank you for your support. Go here to read my blog post on why I only recommend these coconut oils, for what uses, what I use otherwise when raw is not needed & why I added Garden of life to my list. To find other great oils to use with raw coconut oil for everything from oil pulling, skin care to health click here. HOW TO CONSUME RAW COCONUT OIL – GET HEALTHY – OH SO YUMMY – LETS EAT! I have been oil pulling for awhile now, but due to running out of coconut oil & having to buy brands that were raw but I could tell did me no good, so sometimes I would go a week or 2 & not be able to oil pull or take any. Then about 3 months ago I started adding 1/8 tsp of activated charcoal powder to oil pulling & the difference in getting the proper routine & the changes is having on my health became more & more noticeable to others (not me until I did this side by side picture & saw the difference). I am not doing this for weight loss, it is for health. Raw coconut oil is great for both & so is oil pulling. & as a added bonus oil pulling tones & firms the skin & muscles of the face & neck very well & makes your skin glow. 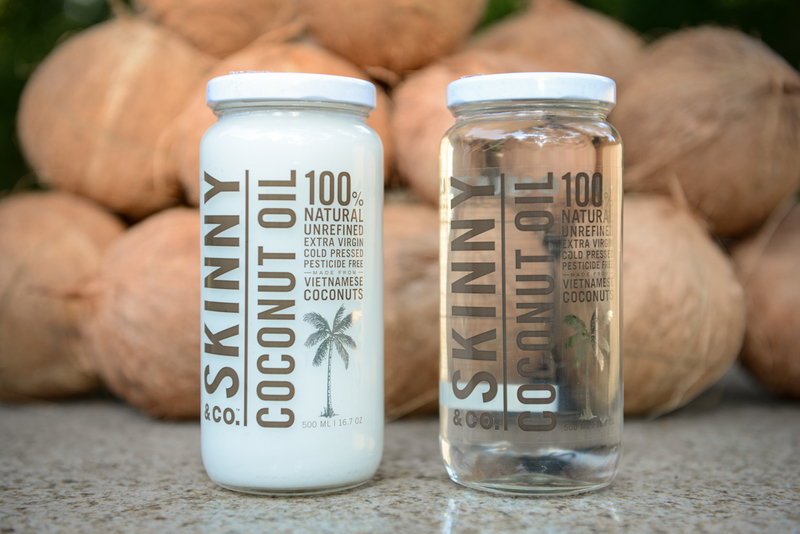 Until July I was having to switch around brands of raw coconut oil more & I knew many of them just were not as good as Tropical Traditions was & it showed as they did not help me as much, now I only use Tropical Traditions & Skinny & co for my health & yes it shows I am using high quality raw/virgin, unrefined cold pressed organic coconut oils that are unlike anything I could buy in a health food store. So never say just because it says it is raw & unrefined that it is quality coconut oil, when it comes to coconut oil for health don’t spend less. My weight gain was from having 6 kids yes, but more from my illness 4 years ago & steroids for my lung. Reviews: My product reviews the company provided me with a reduced price or free item(s) or sample(s) of the product(s) mentioned above in my review, I was under no obligation to review it, nor was I under any obligation to only write a positive review. My reviews are my honest opinion after personally trying the product & feeling confident in it. When it comes to products I do not like, that cause issues or if it was a negative experience I will not review them & contact the company telling them why. So If the review has made it to my blog it is because I love it & recommend it to everyone & I am happy to have used the product. Check out my Disclaimers & Policies page here – If this post contains an alternative remedy remember I am not a Dr.
Click here to learn where buy some of my favorite products. I do accept products to review on my blog: Contact me to review your product go here.